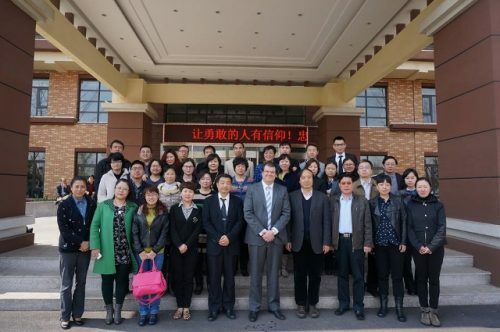 The second ‘in-situ’ training programme for 2015 was held in collaboration with the Beijing Civil Affairs Bureau (BCAB), People’s Republic of China. The ‘in-situ’ programme on ‘Gerontology and Geriatrics’ was held between 30th March – 3rd April 2015. Thirty-two Chinese officials from this organisation working in the field of ageing in various districts of China’s capital benefited from this training programme which was co-ordinated by INIA’s Director Dr. Marvin Formosa and Professor Du Peng from Renmin University in Beijing, both of whom also lectured on social and demographic aspects respectively. Lectures were also given by Professor Gerald Koh, associate professor, National university of Singapore, on Health aspects of ageing. Other lecture topics included elder abuse, quality of life in long-term care, good practices in social policies and community services and nursing support for older people. 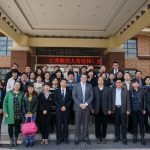 The collaboration between INIA and BCAB in the field of ageing dates back to an agreement signed in Beijing on March 22, 1999 where BCAB was represented by Ms. Zhang Kun Yi, its Foreign Affairs Director. As a result of this agreement, 23 training programmes have been organised so far in Beijing and in Malta for BCAB officials. To date 1,132 Chinese officials have successfully completed these programmes.